Today, I have Angela from one of my favorite blogs sharing how she incorporates the military trend into her everyday wardrobe. I love how she shows us that trends can be used for casual looks. 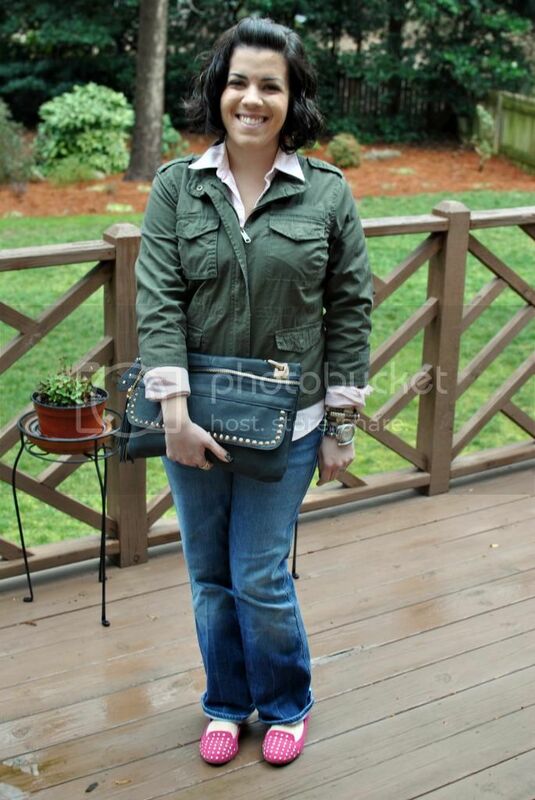 Hi, I'm Angela from Head to Toe Chic and I'm so happy to be guest posting for Lindsay today! Military is a big trend for fall and I love this military inspired jacket that I purchased from Old Navy a couple years ago. Other ways I've incorporated the military trend into my wardrobe are by wearing this vest and this dress. Will you be wearing the military trend? Don't forget to stop by my blog and say hello! 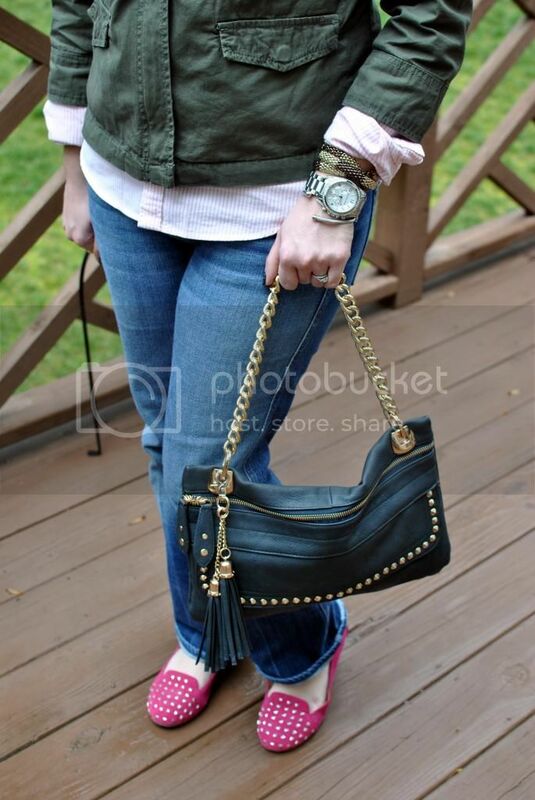 Thank you so much, Angela for showing us how to incorporate this great trend into our every day attire! Guys, check out her blog for more outfit inspiration. She rocks some amazing accessories and even dons some glitter boots! Adorbs! I'm waay excited for this series! I will let you know when I make one!! Love it! I will totally be doing the military trend this fall. It seems like every fall, the military trend is "in" so I already have the jackets for it! And plus, it's a great trend when you live in cold weather but still want to be stylish! I'm on the lookout for a military vest so I can rock it too! Hope you're feeling we'll pretty momma. Thanks for having me!! Can't wait to see the rest of the series! oh i love this look, angela!!! the military trend is definitely growing on me! i saw a jacket at target the other day that's similar to that one that i am loving!